The FOR LIFE DOG TRAINING SCHOOL is different from other obedience training schools in that we concentrate on giving owners the tools to communicate with their dog. There are no dog whisperers with seemly magical talents, only people that have the knowledge and successful experience of how the dog mind works. Anyone can learn, including you. ¾ Of all dogs put down are destroyed due to misbehavior, or better said miscommunication with their owners. Steph started professional dog training in 1986. In this time she has studied under some of the best in the world and worked with thousands of dogs. She gained further insight into the workings of the dogs mind after 15 years spent training herding dogs and their handlers. All dogs want and need to make their owners happy. If they cannot, the stress of this confusion may cause your dog to shut down – ignore you. Have you been told if you ignore your dogs jumping up and turn away, it will stop – But it hasn’t? Or maybe you've been told to hold your lead short to get your dog to walk at your side – But it still pulls? Have you have completed puppy school, or been to other dog trainers or so called behaviorist, and still have problems? Have you only been offered punishment based training methods and ended up with a dog requiring more and more of the same? 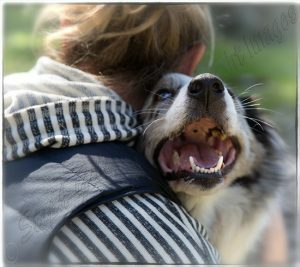 In such cases, and many more, if you are willing to put in the work, Steph can teach you how to understand and deal with your confused (erroneously termed misbehaved) dog and save it from joining that sad ¾.
Reactive dogs are often a mystery to other dog trainers and their owners. In reality they may never be able to, or want to interact with other dogs. Yet there is no reason why owners cannot learn how to handle these dogs and give their dogs the confidence to go out in public without undesirable displays. If you willing to put in the work, Steph can help you understand your reactive dog’s stress responses and how to prevent them by reducing arousal with positive methods. Training is conducted on a one on one basis so that your concerns are not lost in a group, and so that distractions can be controlled. Training is held on our own property in our indoor training facility if wet and/or outside in our large lawned training arena. All dogs must be covered by current vaccination. By the time dogs get to this stage, there often needs to be a considerable commitment from the owner to help their dog. While Steph will get your dog to a base level, owners must be prepared to spend time practicing what they are taught in the real world, on their own time.